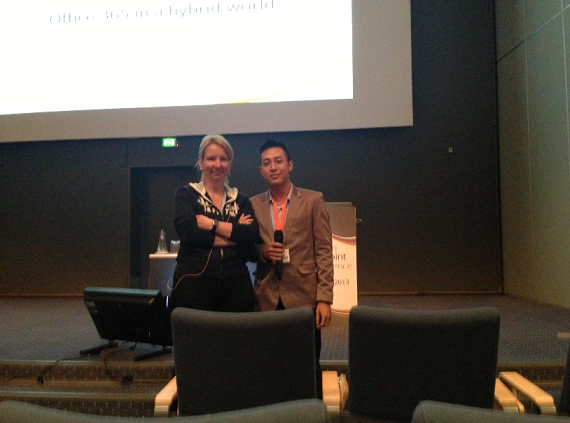 The European SharePoint Conference kicked off at the Bella Center, Copenhagen, from the 4th -7th February 2013. The strength of this conference is the balance of sessions presented by both Microsoft and independent industry experts, focusing mainly on SharePoint 2013. Vietnam MVP Thuan Nguyen represented his UK-based partner Program Framework where he helped chaired 7 sessions to bring a great experience to the ~1500 attendees. Thuan was also involved in the Partner Pulse – a Microsoft Partner community which involved a whole host of great talks and labs!